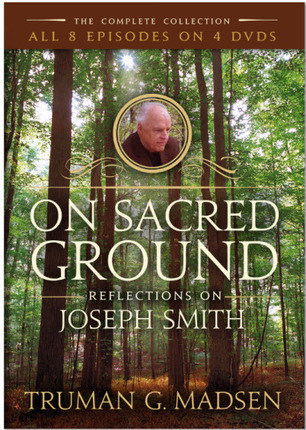 On Sacred Ground: Reflections of Joseph Smith from Deseret Book on Vimeo. How grateful I am for the privilege to view and witness the testimony of Brother Truman G. Madsen in his par excellence series: On Sacred Ground! 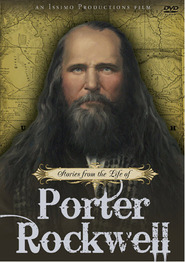 And what a fitting title to the life and times of the Lord's chosen Prophet Joseph Smith Jr.! I truly believe that the First Presidency of the Church (of Jesus Christ of Latter-Day Saints) ought to view, evaluate and approve of this 8 disc series as one that is both accurate and truly inspired as a witness of the life and teachings of the Lord's Instrument to restore His Church in these the Latter Days! I am particularly grateful for the visual sites portrayed throughout this series which allows people (such as myself) who perhaps will never actually have the time or opportunity to visit these 'sacred' sites in our lifetime(s)! The title "On Sacred Ground" is apt not only because some of the best blood of the 19th Century was shed here but because the Lord's Spirit and Presence was noted here on numerous occasions! There is a saying that where people have suffered greatly, there is 'hallowed ground'! And so it was with the Prophet and his loyal brother Hyrum and so many other Latter-Day Saints who sacrificed, suffered and (in many cases) who gave their lives for the cause of the Restored Gospel on Earth! 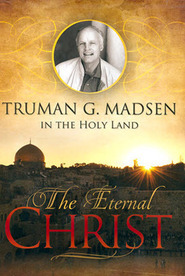 Having noted that this series was completed only 3 years prior to the passing of brother Madsen, I cannot but conclude that his life was extended (as it were, as was the Prophet Joseph's) until this final legacy could be completed! How blessed the name of our Prophet, the Prophet of the Restoration, Joseph Smith, Jr. and that of his loyal and obedient historian, even Truman G. Madsen, a man truly inspired to tell the story of Joseph as it was meant to be told: with conviction and the power of his testimony, a testimony unwavering in and unashamed of the Gospel of Our Lord, Jesus the Christ! My 16yo daughter and I have watched this several times. It give us some wonderful daddy-daughter time, but also pours the Spirit all over us while we sit there and watch this wonderfully spiritual presentation of Joseph Smith. At a time when kids seem to be pulling away, my daughter actually requests watching this one (and his series on the Saviour). If you don't have this in your collection, I believe you are missing something VERY valuable! Bro. Madsen had a PhD in Philosophy of Religion. 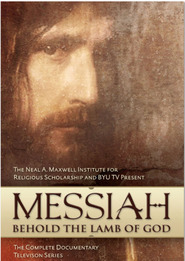 He was wonderful as a teacher in the 1960's at BYU. I appreciate so much his presentation of the doctrines of the restored gospel and how they developed through Joseph's life. An absolutely wonderful collection. I have watched it several times. 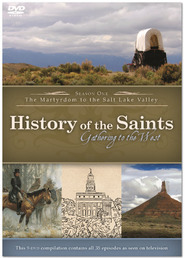 This series will increase your knowledge, make the time line of Church history more clear, and deepen your testimony of Joseph Smith. Brother Truman's delivery, from no script, will bring to life the events that happened in the locations of where they happened. It is like a tour of the Church history sites on DVD. Many thanks to Brother and Sister Madsen for the hours spent on this production. One of the finest, if not the finest, presentations on Joseph Smith. This set is so wonderful - Truman Madsen can just put you right there with Joseph and go all the way with him. I find this spiritually uplifting and in these days, it's what I look for. This is a wonderfully, inspiring documentary on the life of the Prophet Joseph Smith and the Restoration of the Church of Jesus Christ. If you have ever heard Truman's lectures on the Prophet Joseph Smith, you know the great knowledge and love he has for the Prophet. I'm looking forward to sharing these with my family.